Welcome to new members all recruited from the June Taster Day: John and Jackie Cocker, Llandudno; Bill and Annette Lees, Rhos on Sea; Chris and Thelma Sayers, Conwy Spar Shop. 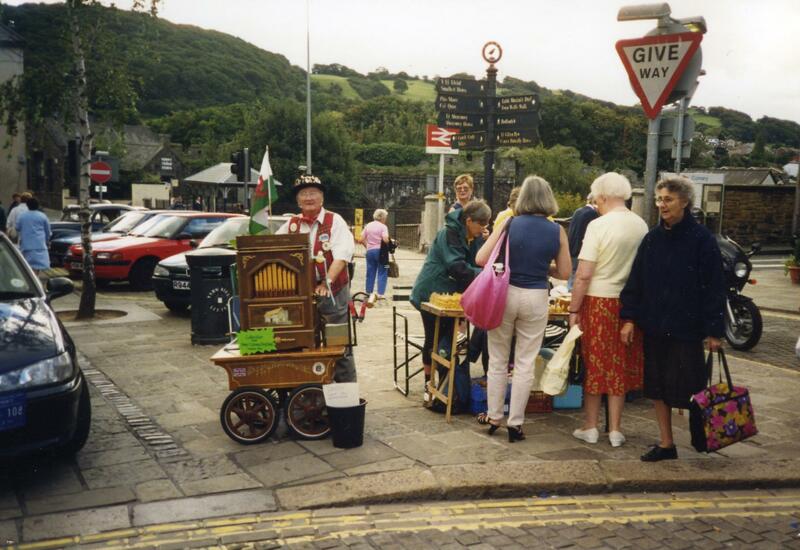 We now have three Conwy High Street shopkeepers in Conwy BKA: Stilwell’s BonBon, Spar Shop and the Fish and Chip shop. Welcome Mike Lax, Talwrn to the Tal y Cafn instructing team. The course at Henfaes is now filling up. If you see white honeybees flying into your hives, don’t worry. They will have been working the Himalayan balsam, which flowers from early July until the first frosts. They come home covered in white pollen. Balsam is now the main late source of pollen and nectar in low-lying areas near streams and rivers, and a good honey producer. The bees are still swarming. 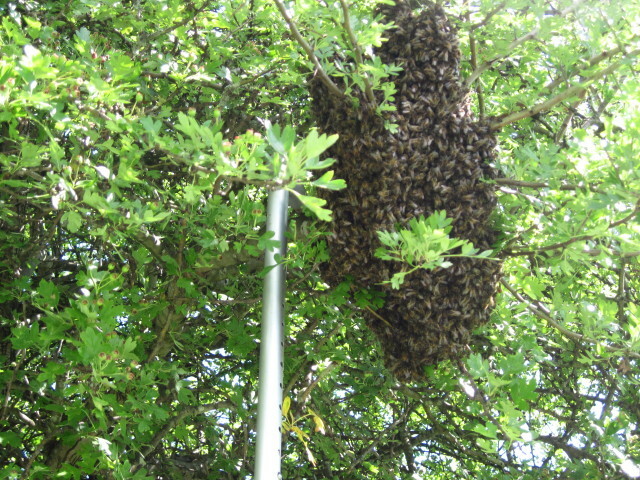 Late season swarms can be flighty and difficult to entice to stay in a hive. These pictures show swarms I’ve tried to catch recently. Alas, both swarms flew away. 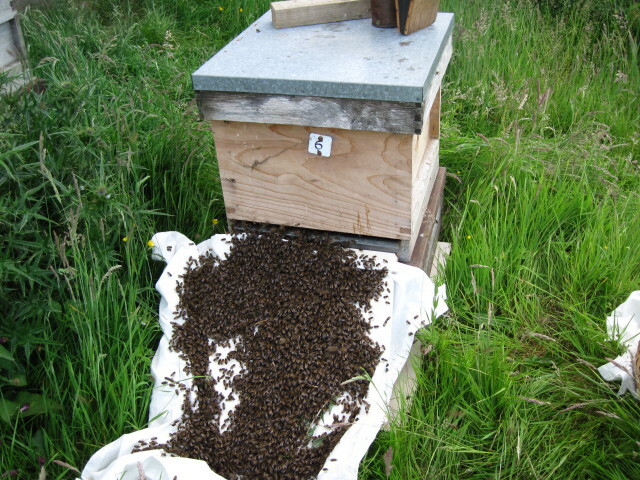 The June swarm shown entering a hive might have stayed if I had put a comb of sealed brood in the hive as an attractant. 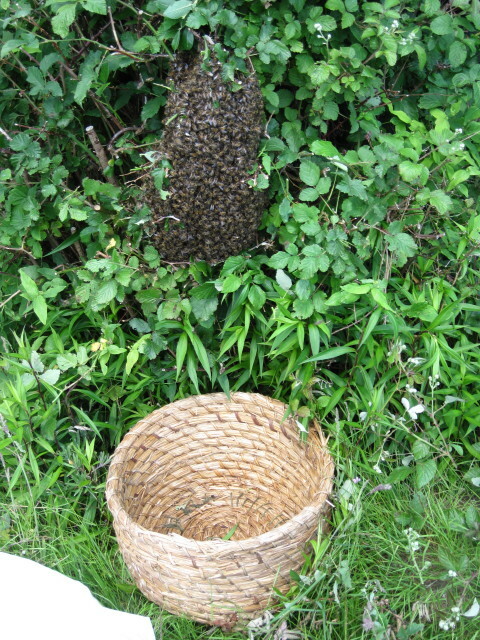 The July swarm was about to be dislodged from a tree into a skep with my NHS walking stick (soon to be discarded). 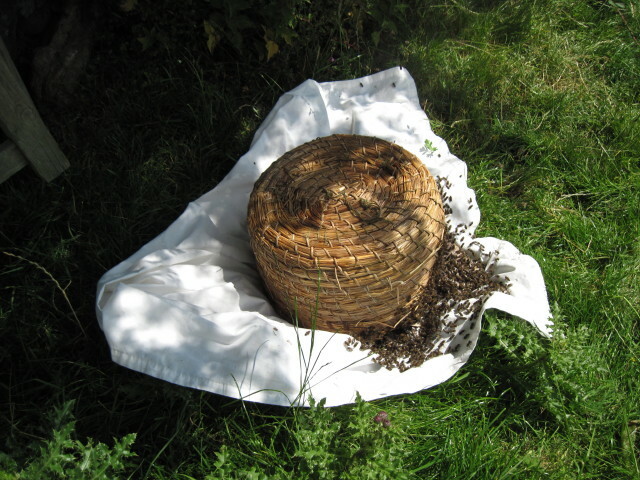 It flew away from the skep before I could hive it.